In this week’s edition of our Social Media Spotlight, we would like to present a company located in Fairfield, CT, Devan Infiniti. Automobile dealerships may find social media networks as a valuable tool in gaining customer feedback, as well as informing potential clients of upcoming specials. Devan Infiniti has grown a well-known and credible reputation in Fairfield County while continuing to provide an experience that will last a lifetime to car buyers. We had the pleasure to speak with Rachael Workman, Internet Sales Manager for Devan Infiniti, about their social media efforts. R: We use Facebook, Twitter and PR.com for press releases to re-direct traffic from searches to social media. YouTube is a still a consideration at this point. R: Social media is extremely valuable. Devan Infiniti has a personality; it’s not some behemoth store pushing volume. Social media literally allows us to put a face to our name so that we can connect with our community and be a part of it. R: For now, Facebook seems to work best for our business. While Twitter is a great way to gain exposure, it’s a better for promoting businesses or concepts on a national scale. For a small, local business, Facebook lets us concentrate on our geographic community and learn more about our own clientele so we can serve them better. R: We don’t use social media with the intent to make a direct sale, but to build and maintain relationships with current and prospective customers. That’s not to say that our Facebook page doesn’t drive business to our store, but when people are considering a purchase of $40,000 or more, it’s not the main focus. People don’t want to see new lease specials every day. They want to see what we have to offer and what we have to say. With time and patience, it pays off in the long term as people feel more comfortable shopping and servicing their cars in our store. R: If you don’t want to grow, compete or gain exposure, stay off social media. If you want to surge forward with the rest of the world that is every day changing the way it does business and advertises, then it’s time to create some user names and passwords. R: Social media platforms are changing constantly, so it’s really hard to suggest that anything should be done differently. Just when you get used to doing something one way, it gets revised the next day. That’s the nature of social media: constant evolution. Just because a technique works today, doesn’t mean it will still be relevant tomorrow. The only improvement I can make on a personal level towards social media is to be more comfortable with strategic adjustments. After speaking with Rachael about some of the specifics in their social media strategy, it is safe to say they have a very good grasp on what works. Devan Infiniti uses social media properly and effectively in their marketing initiative. From Freebie Friday Giveaways to using Facebook Deals to promote an end of the month special on used vehicles, they have created a unique and welcoming personality for the Devan Infiniti brand. They have found a balance between properly marketing their dealership and actively engaging their consumer and brand community. 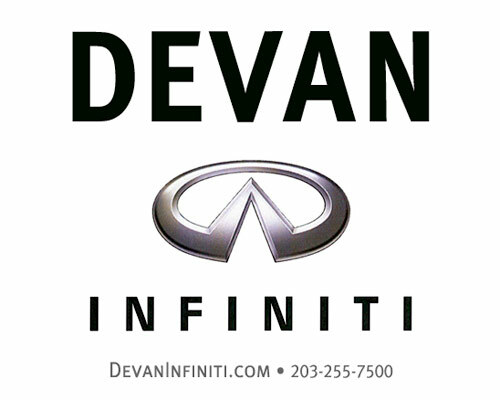 To find out more information about Devan Infiniti, visit their website!